Can I use my business to get a buy-to-let mortgage? We often hear from people looking for highly specialised mortgage advice who simply cannot find the information they need online. We recognise how frustrating this must be, so we have put together this handy guide for navigating buy-to-let mortgages. Can limited companies get buy-to-let mortgages? What are the requirements for a company buy-to-let mortgage? How can existing limited companies secure a buy-to-let mortgage? Can a special purpose vehicle purchase a buy-to-let? Where can I find dedicated SPV buy-to-let lenders? Do I need to set up a new property company for a buy-to-let mortgage? What are the pros and cons of buying a buy-to-let through a limited company? Can new limited companies purchase buy-to-let property? Can I get a buy-to-let mortgage using an existing company? What rates are payable for buy-to-let commercial mortgages? Will I have to pay stamp study? Can I move my buy-to-let property into a limited company? Will poor credit impact my buy-to-let for limited companies? Many inexperienced mortgage brokers will turn away borrowers looking to ring-fence their investment properties in limited companies. This is fairly common practice, but it still makes many high street lenders nervous. It can often be difficult for lenders to accommodate these arrangements within their usual offering, so they decide to reject all applications. As a result of this, many borrowers will be forced to go down the personal borrowing route as they incorrectly assume that all lenders will approach this in the same way. For investors with large portfolios, there are clear benefits of buying a property as a limited company, particularly for those in higher tax brackets. In theory, you can purchase a buy-to-let property as a limited company, and this clearly has its advantages. However, you will need to find a specialist lender that understands the need to limit personal liability. The requirements will vary based on each lender, but in general, it all depends on the buy-to-let company structure. If you are already running a limited company and would like to refinance or begin the process of buying a new property, the process can be tough. It all depends on approaching the right advisors and brokers who can match you with the right lenders. In most cases, many limited company buy-to-let mortgages will only be approved for companies that deal solely with the property. However, a growing number of lenders are opening their eyes to other industries. It may be the case that a commercial deal would be more appropriate for your situation. 68320 – Management of real estate for a fee or on contract. It’s far easier to secure buy-to-let mortgage when your company is classed as an SVP. As outlined above, it’s rare for lenders to offer buy-to-let mortgages to those outside of the real estate industry. There are several lenders that specialise in SVP buy-to-let lending. High street lenders have slowed down their interest in SVP buy-to-let and now focus on more clear cut lending. It is now more common to find this type of mortgage with specialist lenders. 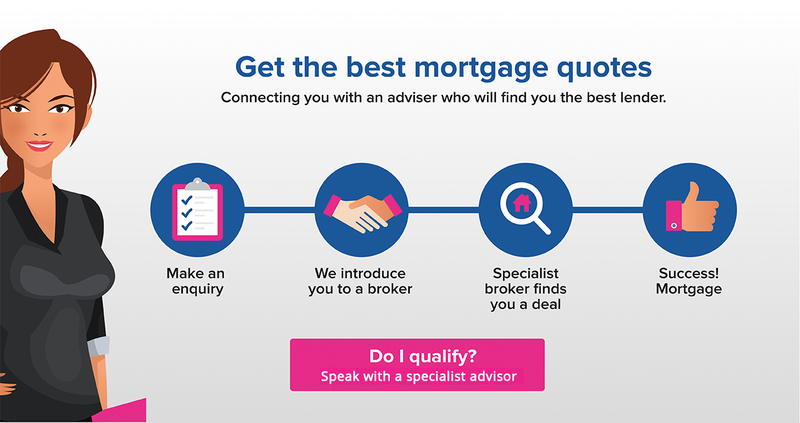 If you are looking for a SVP buy-to-let mortgage, you should speak to a broker with in-depth knowledge of the industry. There is no replacement for industry expertise when it comes to this type of specialist lending. Some lenders will accept applications from newly registered limited companies. The company would have to be created before the application and registered with companies house as an SVP. When going down this route, lenders will typically start at 85% loan to value and will make their affordability decisions based on the potential rental yield. In most cases, rental yield will have to be at least 125% of the mortgage payments. Others might require up to 180% rental value. In order to be successful in this type of buy-to-let mortgage, at least two of the directors will need to demonstrate a strong credit score. This is because the company will have not credit rating of its own. The directors will need to demonstrate personal affordability in the form of proof of income. Before making the decision to finance a property with a limited company buy-to-let mortgage, it’s important to consider the following pros and cons. Tax – this method of purchase is far more tax efficient, particularly for high earners. Limit liability – if the company is dissolved, you will have limited liability and can keep your personal assets separate to the company. The only way this will change is if you offer personal assets as a guarantee. Multiple shareholders on the title – this can make it much easier to manage the share of profits etc. Increased personal borrowing – the directors may find they can increase their personal borrowing as lenders won’t see these payments as existing commitments. Limited choices – there are fewer lenders offering this type of mortgage, so you may not be able to shop around. Higher costs – there are more associated with legal costs as a result. Complicated – you will need expert advice to be able to navigate the process. In theory, yes. However, as we’ve outlined above, this comes with a higher level of risk to the lender. As a result, they may want to see more guarantees from the company directors on a personal level. With no trading history to show the viability of the investment, lenders will have to base their decision on different factors. This can include things like the credit scores of the directors, or their willingness to put personal assets up as security. This can negate the positive benefits of forming a limited company, as the personal and business assets will then be linked. Instead, some lenders will request a larger deposit and offer a smaller loan to value. When the company already has a trading history and experience within the industry, it becomes far easier to secure this type of mortgage. Lenders are more inclined to approve these applications as they see them as a viable investment. If your company already owns other properties, you can use these as security for future lending. However, some lenders will be wary about lending to companies that already have a number of mortgages. By approaching the right lenders, you can find those willing to accommodate professional landlords and property companies with existing trading history. Rates will vary depending on your individual circumstances, but they will typically be higher than personal mortgages. Lenders will base their decision based on their level of risk, therefore a newer company with limited trading history will be considered higher risk than a long established company with more than three years of accounts. In order to secure the best rates, you need to find a lender that is accustomed to your unique circumstances. This will allow them to offer you a bespoke deal. You will need to pay Stamp Duty on any residential property. This is calculated on a sliding scale based on the overall value of the property. All buy-to-let properties are subject to a 3% surcharge on the total purchase price. If you already own property and are wondering if you would be better transferring ownership into a private company, we hope to clear up some of this below. These costs can often offset the savings, so it’s important to consider if this option is worthwhile for you. There are poor credit lenders out there who will look past your credit history and focus instead on the affordability and viability of your venture. However, they will want to see that these issues are well in your past and not recent. If you’re wondering if a buy-to-let limited company mortgage is right for you, get in touch with our specialist team to discuss your options.